When you have too many credit cards and loans, it can become difficult to manage them with payments or debt burden could make you default on the repayments. In such a scenario, you may resort to closing your credit accounts to extricate yourself from the financial burden. 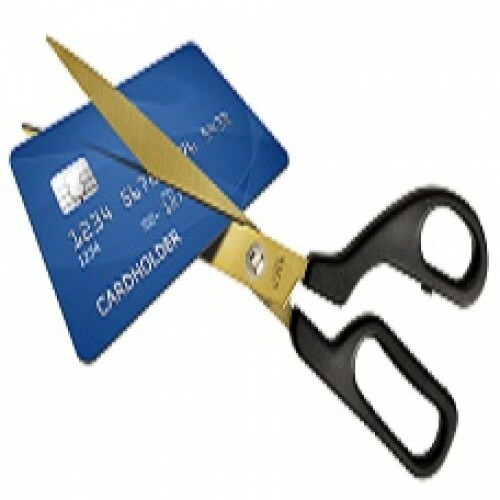 If you have no outstanding amount on your credit card and closing it would not have any impact on your credit score. However, as credit history is one of the variables in computing credit score, closing it would not help you improve your score further. Hence the recommended action is to close your most recent or unused credit card to lessen the damage. At times, when you continuously default on your loan repayments or credit card bills, it will be reported by the lender as written off status and updated in your credit report by the credit bureaus. Though you might think, you no longer have to worry about the repayment, your credit score will take a hit and getting a loan or credit card in the future becomes difficult. The lenders might be unwilling to approve you any credit with such credit background. In another scenario, where you are completely unable to repay your loan, you decide to settle the loan amount to less than you owe to the bank after a mutual agreement with the loan issuer. This is reported by the lender and your credit report appears with ‘Settled’ status. When you apply for a loan and credit card in the future, settled status is considered as negative by the lenders and they would hesitate to approve your application. How Can You Close Your Credit Accounts Properly? The best way to close your credit card account is to check if you have any outstanding dues to be paid. Once you clear the dues, you can get a ‘No Due Certificate’ from your lender stating you have no outstanding amount to be paid. This will not impact your credit score negatively. If you have regularly repaid your EMI on your current loan and completed your repayment, you can get a ‘No Due Certificate’ from the loan issuer. But if you have settled a loan or if it is in written off status, you may have to clear the past dues and get a ‘No Due Certificate’ from the lender. After clearing the dues, it will get updated in your credit report as closed. This will improve your negative credit score and make you eligible for future loans and credit cards. Is your CIBIL report and Score messed up ? Then the biggest question you must be having is “How to Improve CIBIL Score ?”.